About "Representing proportional relationships with graphs worksheet"
Worksheet on representing proportional relationships with graphs is much useful to the students who would like to practice problems on finding proportional relationships between two quantities. 1. The graph shows the relationship between the weight of an object on the Moon and its weight on Earth. Write an equation for this relationship. 2. In 1870, the French writer Jules Verne published 20,000 Leagues Under the Sea, one of the most popular science fiction novels ever written. The graph shows the relationship between the distance in leagues and distance in miles. Write an equation for this relationship. 3. 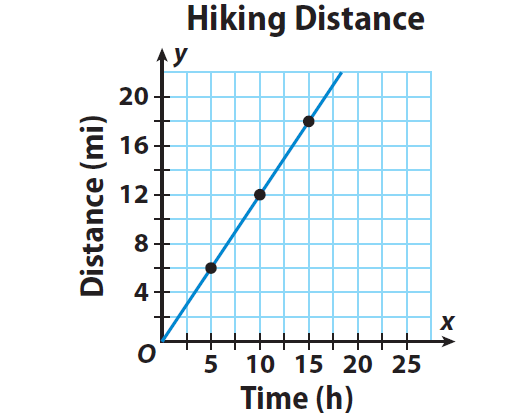 The graph shows the relationship between the amount of time that a backpacker hikes and the distance traveled. Write an equation for this relationship. 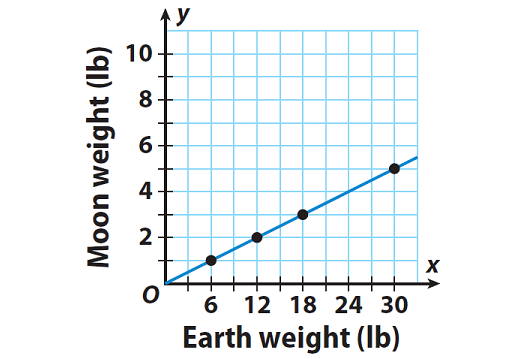 The graph shows the relationship between the weight of an object on the Moon and its weight on Earth. Write an equation for this relationship. In 1870, the French writer Jules Verne published 20,000 Leagues Under the Sea, one of the most popular science fiction novels ever written. The graph shows the relationship between the distance in leagues and distance in miles. Write an equation for this relationship. Make a table relating distance in leagues and distance in miles. The constant of proportionality is 3 : 1 or 3/1 or 3. 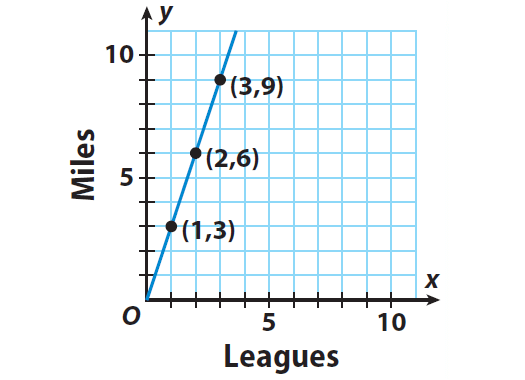 Let x represent the distance in leagues. Let y represent the distance in miles. Replace k with 3 in the above equation. The graph shows the relationship between the amount of time that a backpacker hikes and the distance traveled. Write an equation for this relationship. Make a table relating distance and time. The constant of proportionality is 6 : 5 or 6/5. Let x represent time in hours. Replace k with 6/5 in the above equation. After having gone through the stuff given above, we hope that the students would have understood "Representing proportional relationships with graphs worksheet".